Discussion on how to enjoy the outdoors. I thought i would just throw this out there. i finally made it out to hang a couple trail cams and I was wondering if any of you already had Pics to share? Pulled this maintenance buck last Saturday off the cam. 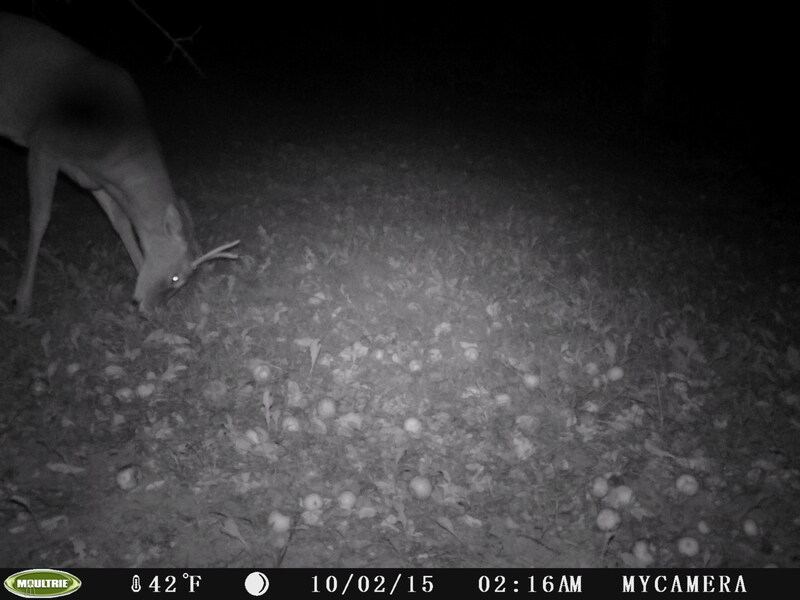 have had so much activity this year, all the acorns have already fallen in va I think it is gonna be an early rut. I had been getting a lot of pictures, but I just recently set the time stamp so I can actually track their movements a bit. I haven't put up my camera yet or even checked my stands yet. 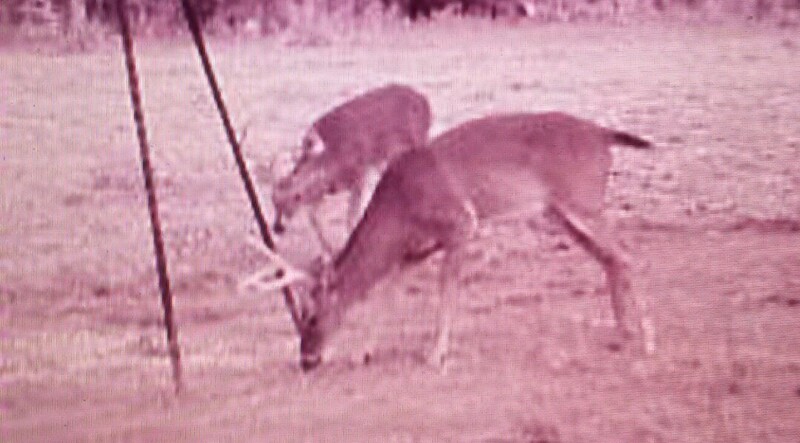 Bow season comes in on Saturday here, followed by black powder on 10/3. Never use cameras but would like to if I had some extra money around. My wife got me one a few years back for Christmas. 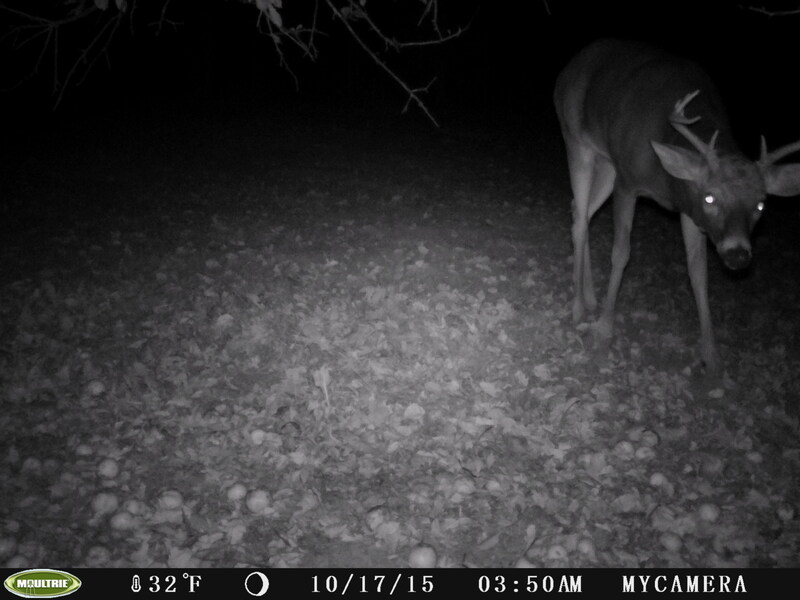 It is neat to see what and who comes near your stands. same here i always get my hunting equipment for christmas. 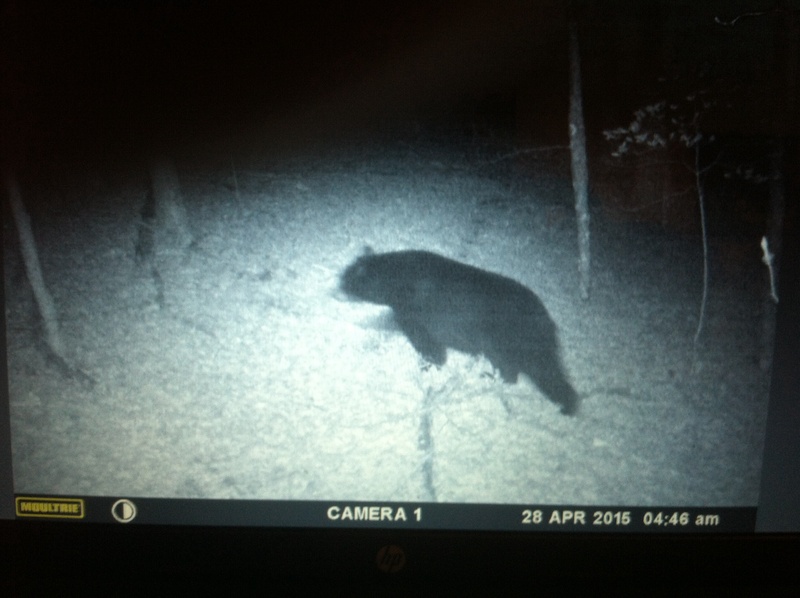 I try to keep the cams away from my hunting spots just because they tend to make noise and game can hear it go off, sometimes i use them to make a bottle neck in the swamps and steer the deer where i want them. that's a cool pic of the bear. bear season goes through Sept. here and deer really doesnt start til Oct.. I have a hard time finding the will to hunt in temps above 50. I know what you mean, I hunt in a bug suit and shorts until about Thanskgiving. We've had a couple of cool mornings recently (low 70s) that gave me the itch to go. 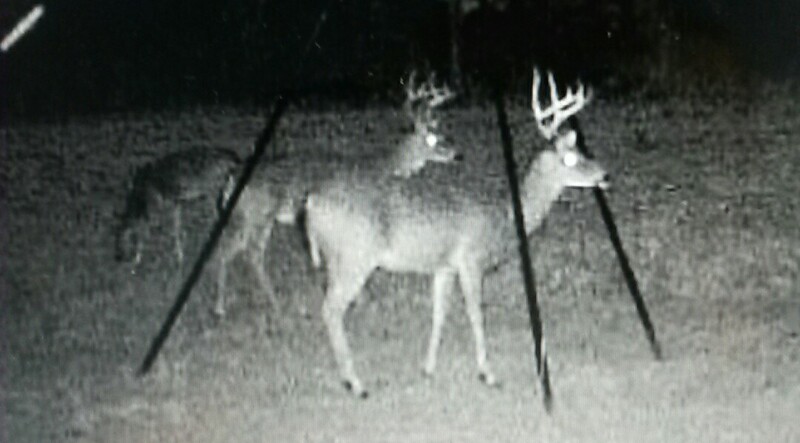 I've got some cash wrapped up into 2 tree stands and 2 cameras. Cameras are a big deciding factor If I'll hunt that area or not. Hey it ain't much but it ain't bald neither.Haha! .Good thing work has nixed my bow season this year. I went bow hunting with my compound this past weekend, and right at sundown as I was about to step out of my blind, I spotted a large buck about 45 yards straight in front of me. he stared for a second and then immediately ran off. on my way out of the field, I grabbed some pics off the cam. here are 2 of them. 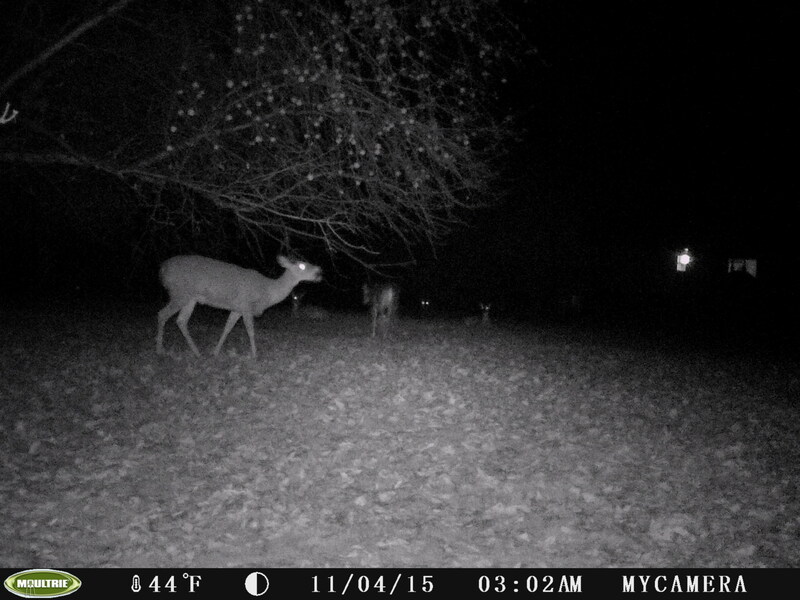 I'm not sure if the buck I saw is in either of these pictures, it was very dark when I saw him. Some pretty cool pics there guys! thats cool to see the difference in body size between the southern and northern deer. up here if you saw a racked buck like those,the freezer would fill up quick.nice racks though. 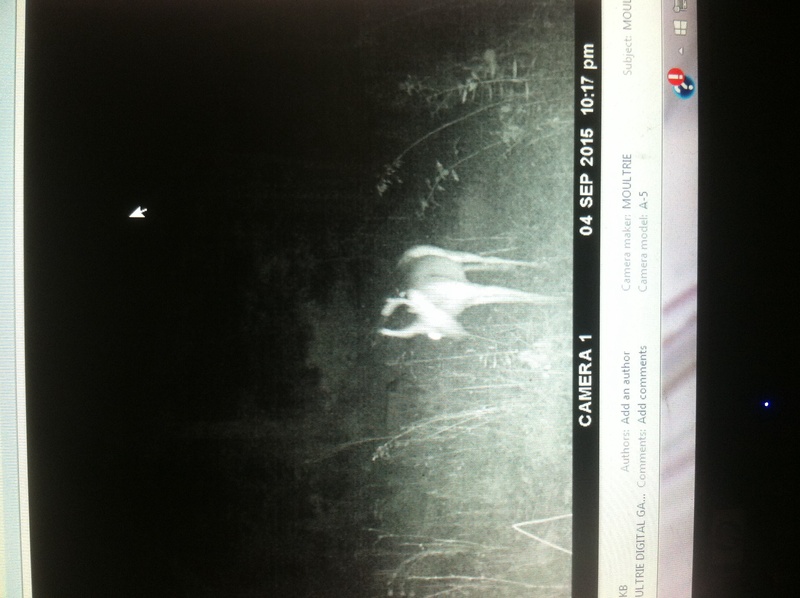 Yeah, here in SE NC a monster 5yo might be 180lbs and a nice doe isn't much over 100lbs. It'd be nice to revive this thread, it looks really interesting. Hopefully we can revive the whole subforum.